At least half of your grains (breads, rice, pasta) should consist of whole grains. If fresh fruits and vegetables are not an option, frozen are just as good! They can be stored for an extended period of time and are frozen at their peak, which is when all of their nutrients are at their prime. There are also great low sodium canned vegetables now as a third option. Choose lean animal protein, that which does not have a lot of fat, or other options, such as beans and tofu. Low fat dairy products, including milk, yogurt, and cheese, round out your diet. Fluid, preferably water, should be consumed with every meal to not only aid in digestion, but to help with hydration. Lastly, but definitely not of least importance, is including a multivitamin daily, as it’s ‘cheap health insurance’ and can insure the proper vitamins and minerals are included if they are not supplied by the diet (5). Lichtenstein AH, Rasmussen H, Yu WW, Epstein SR, Russell RM. 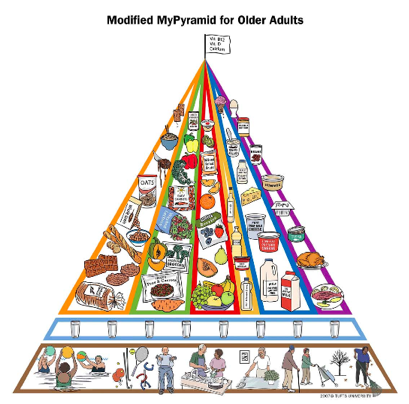 Modified MyPyramid for Older Adults. J Nutr. 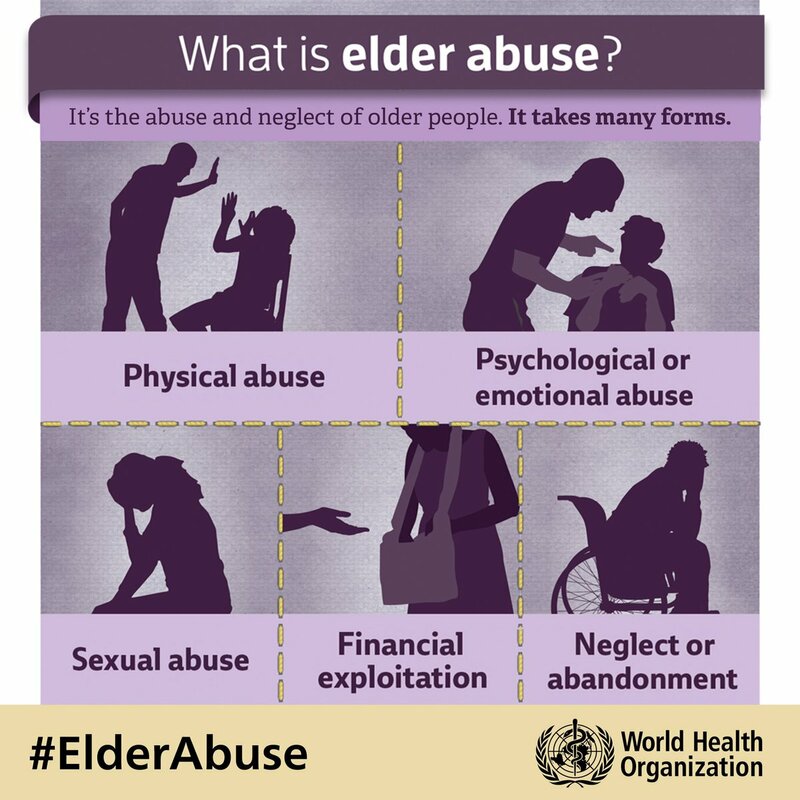 2008; 138:78-82.
guide pyramid for older adults. Boston (MA): Tufts University. Available from: http://nutrition.tufts.edu/1197972031385/Nutrition-Page-nl2w_1198058402614.html. 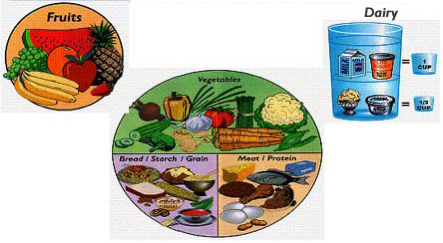 “Brighter living: food pyramid (over 70)” (Brighter Living, 2008, 1:01). Plate Method. Available from: http://platemethod.com. who use vitamin/mineral supplements differ from nonusers in nutrient intake adequacy and dietary attitudes. J Am Diet Assoc. 2007;107:1322–1332. No, this theme is free from wordpress. happy eating! Thanks for letting me know. I’ll ask WordPress about how to handle this. Have a great day and happy eating!